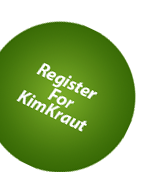 Welcome to KimKraut.com, the largest women's barbershop learning media library on the Internet! The easiest way to find song titles is through SongFinder, a simple search tool, even if you only know part of the title. You can also browse titles by category (including contestable), or by arranger. We update our FAQs on a regular basis to include new questions from singers, so it is a wonderful place to start if you are having issues, or just wondering how to get the most out of the site. Enjoy the site, and most of all, enjoy singing!